Sometimes, the reasons I love to homeschool are simple. I could spew off a soap box. of growth and enthusiasm when they conquer a new skill. to the bottom of a desk or lost on the bus. I know ya’ really want to read this. I teach with all my might. But my poetry is a fright. 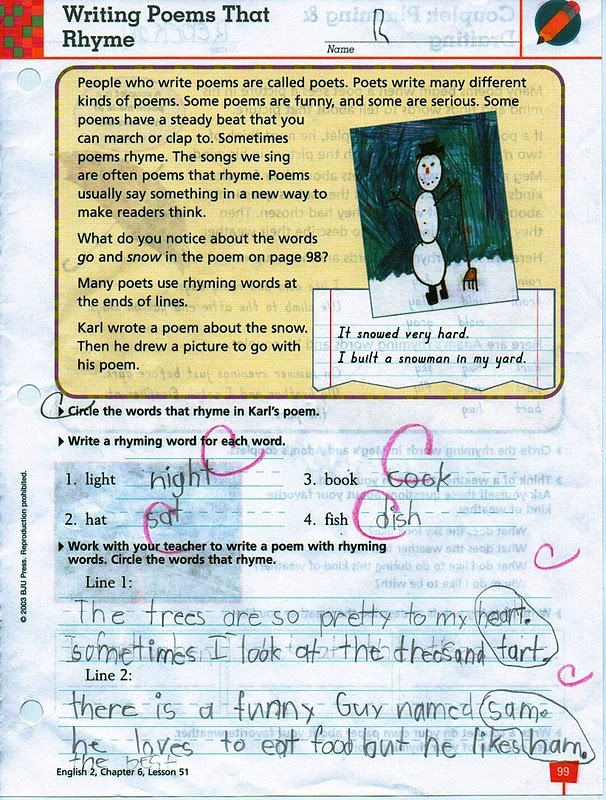 Write Express offers a free online rhyming dictionary. there’s even a free app to download. knee-jerk negative reaction into a knee-slap. then you bring on those boring worksheets. Oh, did I call them boring? one for the Old Testament and one for the New Testament. “As the Deer” and many other contemporary worship songs. Yea, he writes as a Christian, a poet, and a Dad. 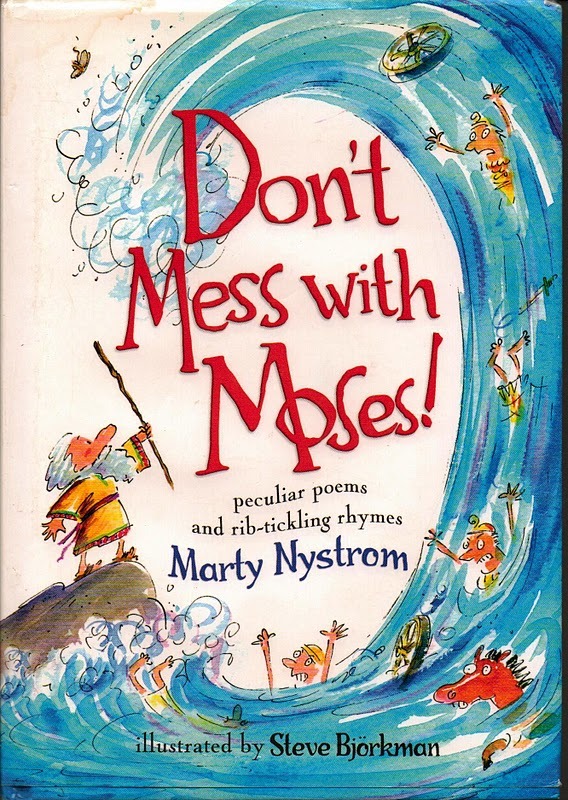 This entry was posted in Don't Mess With Moses, homeschooling, Jack Prelutsky, Marty Nystrom, poetry, rhyming on September 27, 2011 by Mindy. Are all kids just totally obsessed with bodily functions or what? 🙂 They like to hoot when you toot. HA! LOL. Kids are so funny! It's great to be able to catch all those funny moments!